When ingesting CBD products, the quality of the vaporizer you are using is essential. Not all vaporizers will necessarily be able to support the dosages that you are interested in vaporizing. If you do not purchase the right product, you may not achieve the saturation you’re looking for. So what product do we recommend? What is the Best Vaporizer for CBD Oil? At this point, if you are a serious CBD user, we would suggest using Volcano Vaporizer for your CBD needs—the Volcano Digital in particular. Here are our reasons for suggesting the Storz & Bickel Volcano as your CBD vaporizer. This is the model which has actually been tested. The first reason that we recommend this particular vaporizer is because it is the exact same type that was used in the research study that we cited. As other models of vaporizers have not yet received any clinical testing for this purpose, there is no way to be sure how effective they might be. We know for fact that the Volcano Vaporizer works for CBD, and that alone is an excellent reason to choose it. Plus, if you were to buy a different vaporizer, you would have to conduct a whole set of experiments on your own to determine the ideal temperature and dosage for that model. You have a set of guidelines already for Volcano Vaporizer. 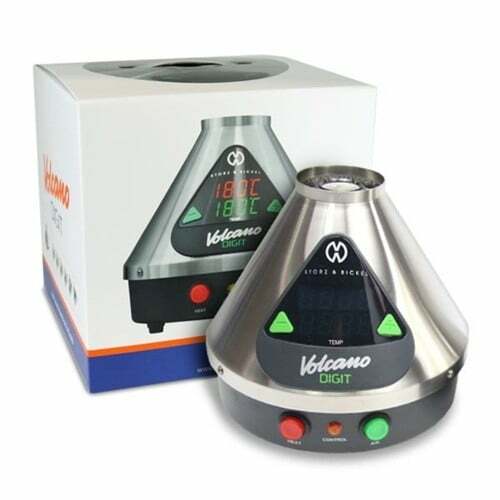 The digital version of the Volcano Vaporizer gives you fine-tuned temperature control. 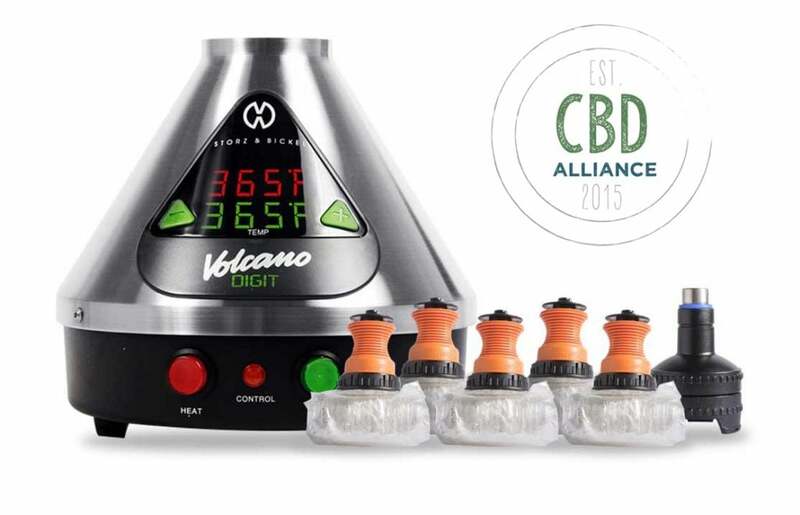 As just mentioned, there are actually two different types of Volcano Vaporizers. There is a classic model and a digital model. While the classic version is less expensive, it is not ideally suited to CBD vaporizing. The reason is that the classic version does not provide a wide enough temperature range. You can only just between around 130-226°C. The digital model on the other hand allows you to adjust between 40-230 degrees Celsius. Furthermore, you are able to use a digital interface to input a temperature, as opposed to a knob. This allows you to achieve more accurate fine-tuning. This makes it perfect for vaporizing your CBD. Finally, Volcano Vaporizer is one of the most versatile models you are going to find on the market right now. You can choose a method which you prefer for vaporizing (the balloon method or the whip method), and you can also choose between the Easy Valve and Solid Valve formats. Even if you have never owned a vaporizer in your life, you should find it pretty easy to learn how to use this one. In fact, you can get up and going with the device in a matter of minutes. If you have used an inexpensive vape pen in the past, you know how flimsy they can be. They can fall apart in no time, and then you find yourself shopping for a new one. In fact, this makes them more expensive than they might seem, because over time, you just have to keep replacing them. That is not going to be the case with the Volcano Vaporizer. This device is made out of stainless steel, so it is rugged enough to stand up to lots of wear and tear, and should offer you years of use. It is rated as food-safe and heat-resistant. Additionally, it meets ISO, UL and NRTL standards—something which no other vaporizer available today has achieved. Are there cheaper vaporizers out there? Sure, but they don’t begin to compare when it comes to quality, ease-of-use, temperature control, and overall experience. 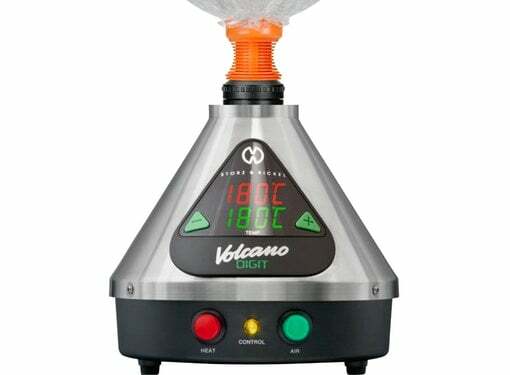 In terms of pure value, Volcano Vaporizer can’t be beat. If you want to enjoy the full benefits of CBD, you will find that the investment more than pays off. Plus, the Volcano Vaporizer is backed by a 3-year manufacturer’s warranty, so there’s nothing to lose. Where Can You Buy the Volcano Vaporizer On Sale? Now you know all about the science behind vaporizing CBD, and you have recommendations for the temperature, the dosage, and the vaporizer model to use. Ready to purchase the digital version of the Volcano Vaporizer and start enjoying your CBD in a whole new way? Click below to go straight to the order form at VapeWorld.com and you’ll get free overnight shipping.